Jocelyne Saucier tells the story of two octogenarians determined to live out the rest of their lives on their own terms in a Northern Ontario forest. Tom and Charlie are living on their own in the woods, away from civilization. But when two women arrive one summer, all four are faced with challenging questions about growing up, growing old and finding purpose in life. 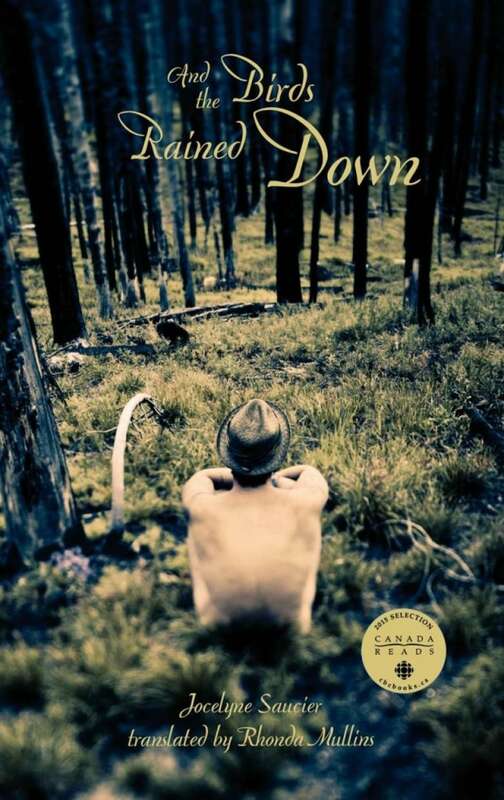 And the Birds Rained Down was a finalist for the 2013 Governor General's Literary Awards. Martha Wainwright defended this novel for Canada Reads 2015. I had already driven many kilometres of road under threatening skies, wondering whether I would find a clearing in the forest before nightfall, or at least before the storm hit. I had travelled all afternoon along spongy roads that led to labyrinths of quad trails and skidding roads, and then nothing more but clay ponds, beds of peat moss and walls of spruce, black fortresses growing ever thicker. The forest was going to close in around me without me laying me hands on Ted or Ed or Edward Boychuck, whose first name changed but whose last name remains the same, a sign that there was some truth in what I had heard about him, one of the last survivors of the Great Fires. From And the Birds Rained Down by Jocelyne Saucier. Translated by Rhonda Mullins ©2012. Published by Coach House Books.